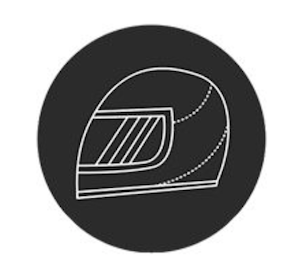 Every safe motorcycle outfit begins with high-quality headwear. Here's what to look for in a motorcycle helmet. But what is worn below the neck is also essential. Fortunately, today's gear is fortified from within and designed to give the rider a protective outer layer of padding in case of a fall. The more protection the better, says Ty van Hooydonk, a RiderCoach with the Motorcycle Safety Foundation. 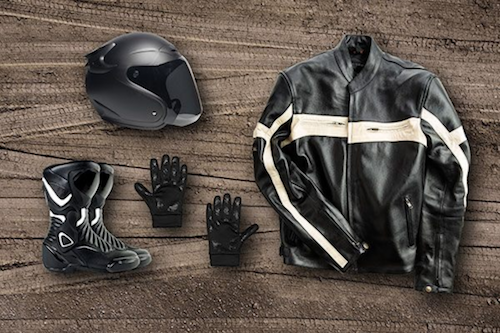 "We say, 'Gear up every ride,' whenever you're on a motorcycle." And when doing that, here's what he recommends. A good fit—This is paramount, as a jacket shouldn't be flapping in the wind. The jacket should be snug, yet easy to move the arms in. Armor consisting of a combination of foam and plastic—This should be built into the chest, elbows, and shoulders. Double-or triple-stitched seams—These add more strength to the jacket. 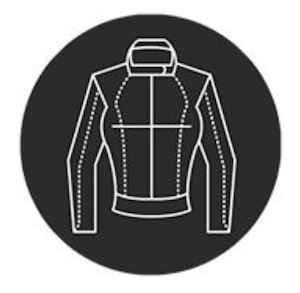 A CE rating—This indicates that the jacket has been certified to meet the safety standards for motorcycle gear in Europe. Built-in air bags—A feature of the newest premium jackets, these should be considered for maximum protection. 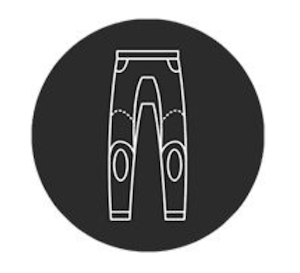 A snug fit—It is especially important for the pants to have a good fit from the knee down. A snug fit prevents leg openings from getting hung up on the footrests of the motorcycle or on the brake pedal or shift lever. Integrated armor in the hips along with protection for your knees and shins—These bony areas might come into contact with the road. A CE rating—Like the jacket, motorcycle pants should have a CE rating. Pants that attach to the jacket—Getting a pair of pants with this feature will ensure that no skin around the stomach and hips is exposed. A snug and comfortable fit and nonslip soles—These things will allow anchoring when putting a foot down at a stop light, even if the surface is wet or slick. 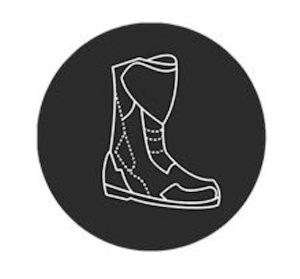 Special padding on top of the toe—A feature of some boots, this padding is placed where the shift lever is used—an area that gets extra wear and tear. 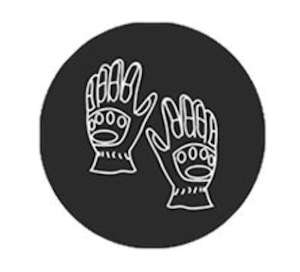 Extra-grip padding on the fingers—This will keep the gloves from slipping off the clutch and brake when it's raining. "Shatterproof eye protection is a must," says van Hooydonk. "You don't want to get hit with a pebble while wearing ordinary glasses." 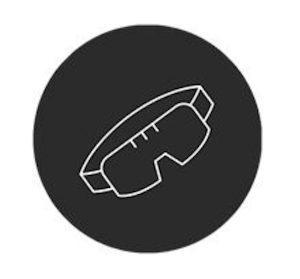 Plus, wind, dust, and other debris can easily get inside of regular glasses. Motorcycle goggles are great at keeping out dust because they seal against your face. A final reminder that no motorcycle outfit is complete without a helmet. Although there are many styles to choose from, a full-face helmet is the best choice, says van Hooydonk. "It will typically have a face shield that tilts up, and when you're riding, you can click it back down to protect your eyes." Make sure it's Department of Transportation-certified—look for the DOT sticker on the back. This article was originally published on GEICO. In business for over 75 years, GEICO gives you the benefit of great rates on high-quality car insurance. You could be eligible for a special WITI membership discount on GEICO auto insurance. In addition to your special membership discount, you'll also receive 24-hour service online or by phone, as well as efficient and fair claim handling. Visit www.geico.clm/disc/witi or call 800-368-2734.